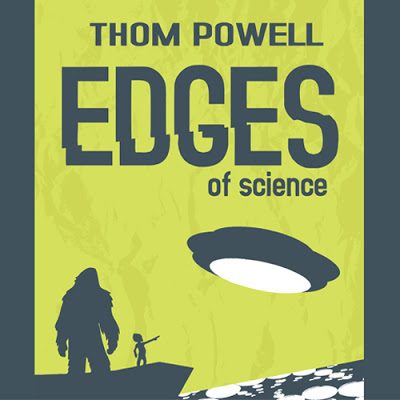 Thom Powell is a science teacher from Portland, involved in the search for Bigfoot not from the point of view of someone who has anything to prove, rather as someone who recognizes there are things in the world we do not know. He is also an author in this field, taking his research and creating fiction around it, basically changing names and places but telling the stories he has encountered and experienced as they are. Thom was one of my favorite speakers during the conference, in part because he proposes a different perspective on the field of research and has made some observations that others either have not or are not discussing. Not new among his thoughts is the idea that it is probably pointless to try to convince anyone else that there is an undiscovered primate resident in the world. This creature, if it indeed exists is notoriously shy, and undoubtedly intelligent enough to avoid humans. He was in agreement with several of the other presenters in the belief that Bigfoot seem to be aware of cameras, even to the point of removing trail cams from trees. Of course, the question does arise; What is the difference between a creature of which there are no confirmed photos because it avoids cameras, and a creature that is simply not there? While it is true there are no confirmed photos, there are photos of some merit, so you can decide on that one for yourself. On the subject of photos, he has a few observations that are either so simple that no one has really bothered to say them and they offer a sort of “oh, yeah” moment, or possibly no one has seen them. Bigfoot are well adapted to their environment and blend into the background. They can be there and people present not see them at all, however, they show up later in photos and videos. Some portion of this can be explained away as Pareidolia, but not all. Of course as a result of this most photos and videos Bigfoot are taken by people who were not aware of the presence of the creature. Many of these are taken by children who are playing with dad’s camera? Is this because Bigfoot are curious about our children and more inclined to peek when they are around? Or do they just prefer “veal?” You Tube would now seem to be the medium of choice for propagation of such photos and videos, as well as the vast number of fakes and mis-identifications out there and as a result, no one cares. Including a rare handprint visible in the upper right corner. He was also on the team that acquired the debated Skookum cast. It was at his suggestion that the team left out bait after an uneventful few days that resulted in the discovery of the cast. There is work being done in the field of Bigfoot communication (and an upcoming article on a presentation on that very subject) but a relatively new element to that research is the idea that Bigfoot use infrasound as part of their vocalization. We are all familiar with Ultrasound, coming from bats and marine mammals. We have even “decoded” some identifying elements of dolphin and whale communication. It was only 1984 that elephants were discovered to use infrasound, or sounds below the limit of human hearing at around 20 Hz. Infrasound carries over long distances and allows animals that employ it to keep in communication with each other without revelaing their presence to others who cannot hear it. Sound familiar? Ha, ha, “sound!” Get it. Infrasound is certainly within the capabilities of Bigfoot, as will be indicated in the article on communication. If we believe the infrasound theory or not, there is communication of a sort that occurs. In one way the “Gifting” where humans will leave food, and return later to find objects, feathers being the most common, left in place of the food. Tree and rock knocking is another form of communication. Thom relates a story in which he is visiting a couple who have reported Bigfoot raiding a freezer in a shed on their property. Demonstrating the noted shyness of cameras, when he placed a trail came to view the approach to that area, the raiding stopped and activity moved to another part of the property. He attempted to gain their attention by employing some tree knocking of his own, striking a tree in patterns of three knocks repeatedly over the course of a few hours he got no reply. Having to return home, he left very early in the morning to drive the four or so hours ahead of him. Upon returning home, getting out of his car he heard three knocks. Thom himself draws no conclusion from this, only proposes the idea that infrasound is known to carry long distances, as does tree knocking, and wonders if there is a “coconut telegraph” in operation among an intelligent creature with potentially higher intelligence than we might realize. Could it be a coincidence. Yes it could. On the stranger, and in my opinion less plausible side, in his investigations Thom has encountered individuals who claim to have had direct communication with Bigfoot at a level beyond crediting without believing in psychic phenomena. During his investigation of the same property where he placed trail cams, he met an individual unrelated to that investigation, in fact unaware of it, who claimed to have recurring communication with the creatures. Deciding to conduct an experiment he asked for a message to be relayed. Without revealing the location of his cameras (or revealing to the owners of the property that he had spoken to this other individual) he requested that one of the creatures please reveal itself to the camera. Two weeks later he was informed the message had been delivered. Two days later the result was a blob-squatch. Either the top of a head with the typical high conical profile, or the shadow of a head on the trees across the small clearing where the camera had been placed. Coincidence? Certainly possible. Proof of Bigfoot? No. For those of you following these articles I mentioned the idea that Bigfoot has a sense of humor in “gifting.” Well, as a next experiment Thom requested that could they please leave behind a specific object. One of the contentions among detractors is the lack of any sort of remains of a Bigfoot ever having been found. Thom requested a bone. Two weeks later and the message had been delivered. Less than 48 hours later, discovered at the base of the tree where the trail cam was mounted, was a piece of bone. This bone had the shape of possibly a bit of cranium, or pelvis or scapula, but contained an odd honeycombed core like that of a bird. It was not easily identifiable so was sent off to study. Analysis of the fragment in question: breast bone of an Emu. Here is where things get muddy. Ten miles from the location of the cameras there was an emu farm where the birds are raised as meat animals. Apparently when the message was delivered it was not specified that the bone be of a deceased member of the species. I have to admit, while I would love to believe all of this, the fact that the emu farm was owned and operated by the father of one of the couple who owned the property that has been under surveillance does seem too much of a coincidence. Thom’s books are Shady Neighbors and The Locals and signed copies are available through his website. Whether you believe or not, if you are looking for an entertaining story about interactions with Bigfoot I would recommend them. It really would not shock me to find this a legitimate event. We simply know very little about how brains function. Ask a neurosurgeon or neurologist, they'll affirm that. An interesting approach to consider, at least. Thanks, Thom!